Here’s a bit of rare swag you can own for $75.77. 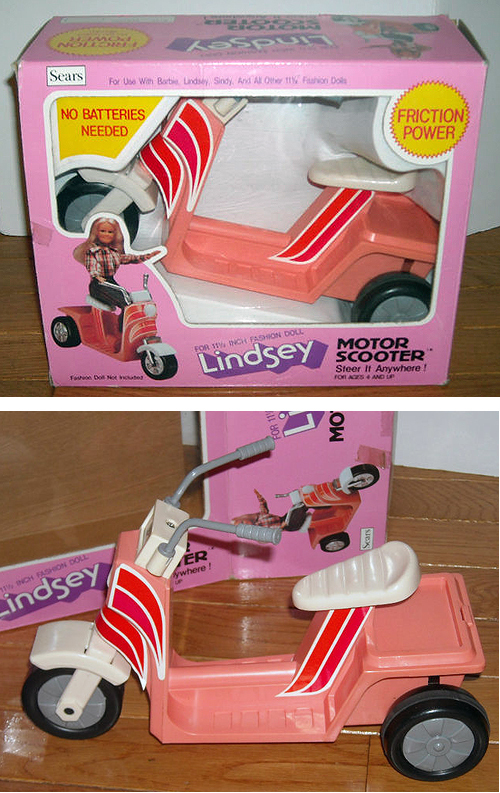 “Lindsey” was Sears’ own answer to Barbie. 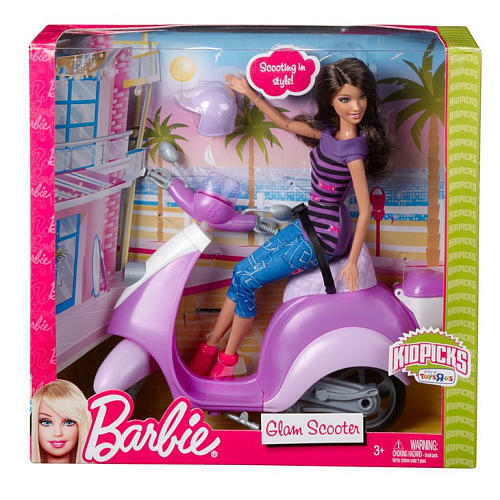 So if your doll measures 11.5″ she can ride this scooter. It’s friction powered and apparently from another planet as well because the only two-wheeled vehicle I’ve ever seen remotely like this would be in the blaxploitation movie “Darktown Strutters” which I’ve included a link to below. 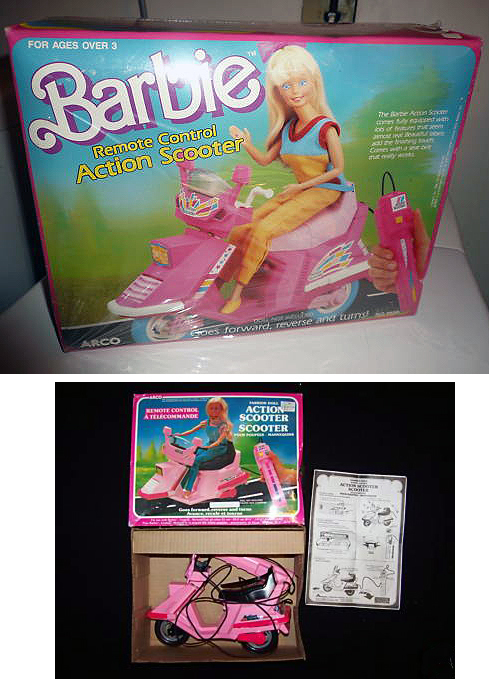 It looks like Barbie may have some competition in the “cute doll on a scooter” category. It looks like there are two slightly different styles available. I posted both here. I think the top one is the cutest and looks more mod Vespa GL to me. Prices range from $14 to $32. It seems like this may be the Italian Barbie? 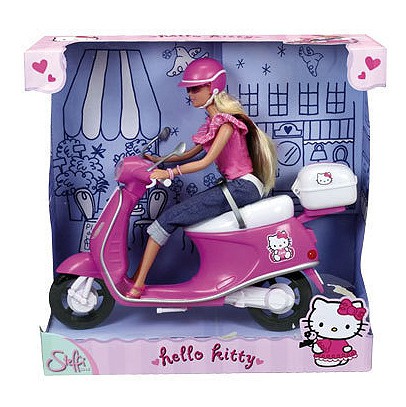 She clearly has taste as she is riding a HELLO KITTY scooter! I had one similar to these in the early 80s but I know for sure that it didn’t have remote control power! 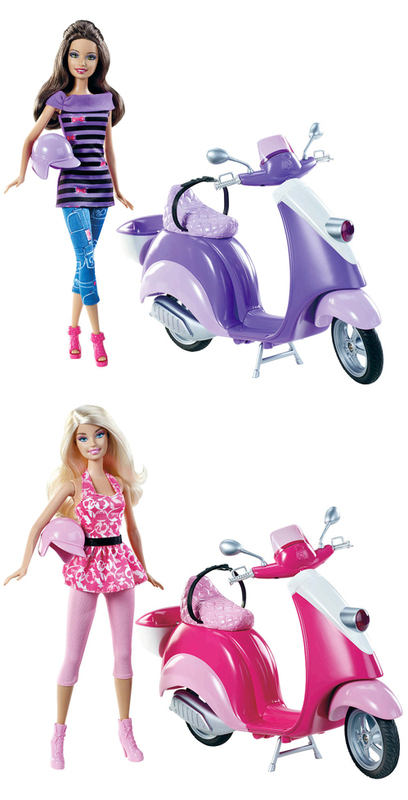 And for your enjoyment, here is a stop animation YouTube video of two Barbies racing their modern Vespas. Both “wreck” but being Barbies they just dust themselves off and keep going. 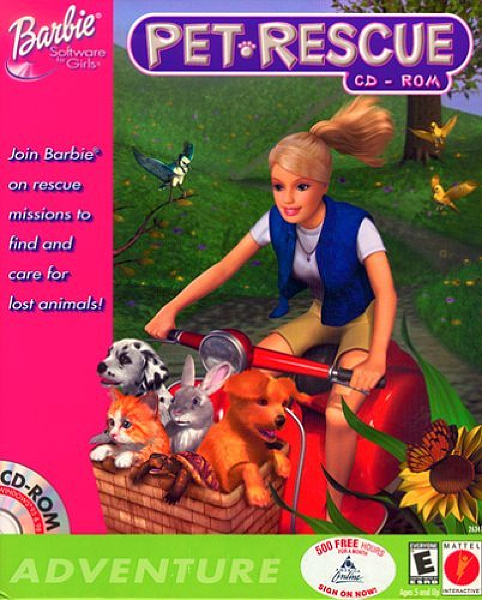 Barbie rescues cats, dogs, bunnies, etc. with her trusty scooter! I think this is game for little kids which makes it about my speed. If anyone gets this, please get some screen grabs! Thanks to Julie G. for this fun find.